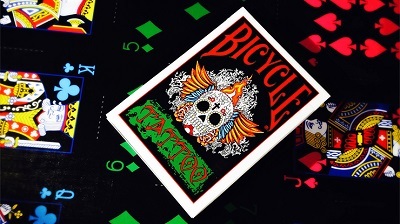 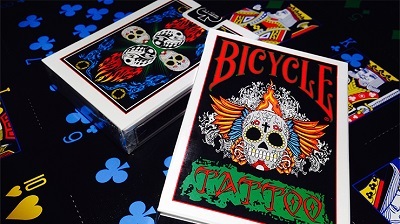 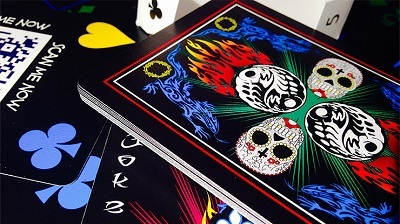 The Bicycle Tattoo Deck is produced by Diavoli Production - Germany and features artwork by Stephen Rooks. 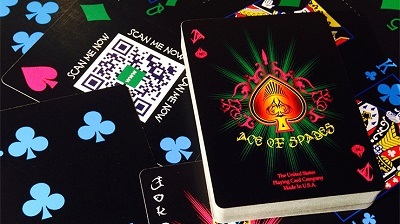 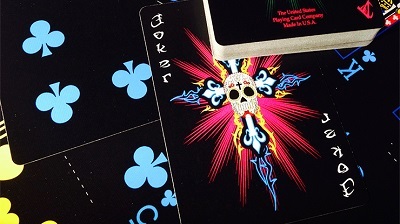 Comes with two jokers, a custom ace of spades, and a 6/4 of clubs gaff card. 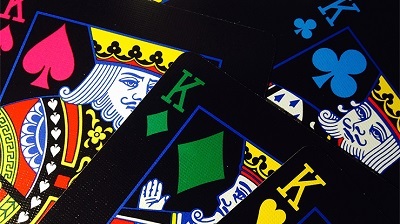 Prediction of five of clubs on the flaps.